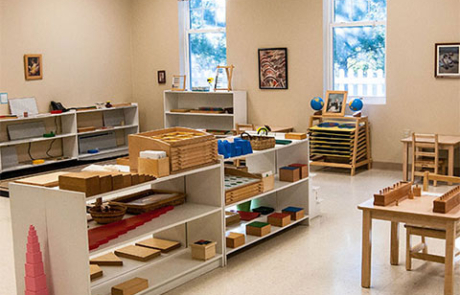 Inspiring a life-long love of learning in children by allowing them to develop at their own pace in an authentic AMI Montessori environment that embraces diversity, individuality, and community. 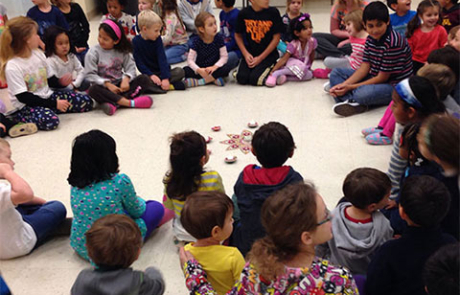 All are welcome at Community Montessori School (CMS), where we celebrate our differences! We embrace diversity, individuality, and community. We welcome students of any race, gender, religion, national or ethnic origin. We are proud at CMS to have a diverse, international population, with families who come from all around the world. 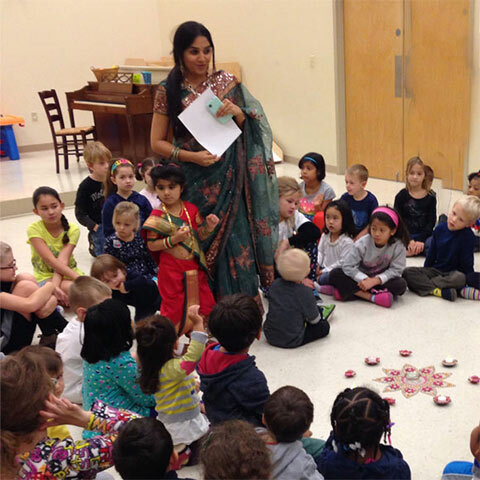 Approximately 30% of our students are bilingual, speaking languages from four different continents. We also have children from a variety of faith backgrounds, and family structures. Every classroom has at least one internal observation window. Parents are always welcome to observe their children through these windows. 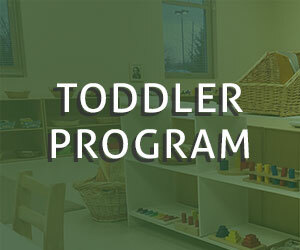 Toddler & Primary classrooms have internal sinks, restroom facilities, and kitchens for the children. Host social events and hold board meetings. Recess is staggered so each program community has the playground to themselves during their time. Small slide, monkey bars, climbing wall, basketball hoop. Every classroom has a door to the outside with access to an outside work area. In the warmer months children have the option of taking their work outside and working on picnic tables. We also have garden areas where the children plant flowers and vegetables. Kate obtained her B.S. in education from Miami University in Ohio. She then obtained her Master’s degree in Education, with a concentration in Montessori, from Loyola College in Maryland. 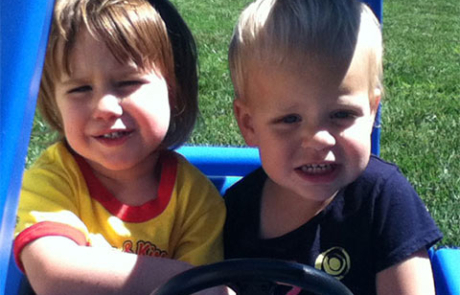 Kate obtained her AMI Primary Diploma from the Ohio Montessori Training Institute. Herself a Montessori child, Kate was the founding directress of CMS when it opened in 1997. After taking a break to stay home with her own children for several years, Kate rejoined CMS as directress of the Oak Room in 2011. Josie obtained her B.A. from Xavier University in Ohio. She went on to obtain her Master’s Degree in Education, with an emphasis on Montessori education in early childhood, at the same university. Josie also completed her American Montessori Society primary teaching credential from Xavier University in Ohio. Josie started working at CMS in 2011 as directress in one of the toddler classrooms. In spring of 2012 she became directress of the Rosewood Room. Carrie obtained her B.A. in History from Saint Vincent College in Latrobe, Pennsylvania. 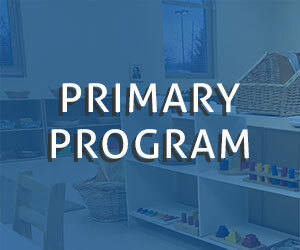 She obtained her AMI Primary Montessori Certification from Ohio Montessori Training Center in Cleveland, Ohio, and taught in a primary Montessori classroom for 5 years in Ohio, Indiana. 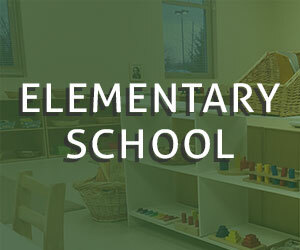 She then obtained her AMI Elementary Montessori Certification from the Montessori Training Center of Minnesota (MTCM). She opened our Elementary classroom, the Magnolia Room, in 2004, and has been with us ever since. Anne obtained her Bachelor of Science in Business (Marketing) in 1992 from IUPUI. She continued her education at Illinois State University for a degree in education with an emphasis in middle school Mathematics. Currently, she is finishing up her practicum year for Montessori accreditation for ages 12-18 through Cincinnati Montessori Middle School Teacher Education Program. 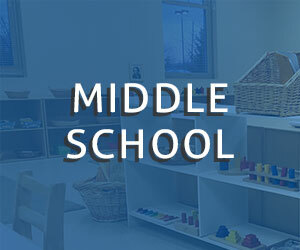 Anne started work in 2016 at CMS opening up their first middle school program. She is currently the directress of the Aspen Room.